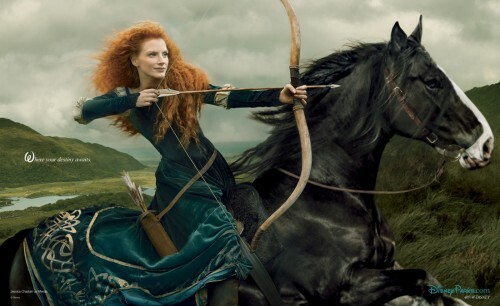 Disney has released one more photo from Annie Leibovitz’s “Disney Dream Portrait Series” that places celebrities in to the roles made famous by classic Disney animated films. 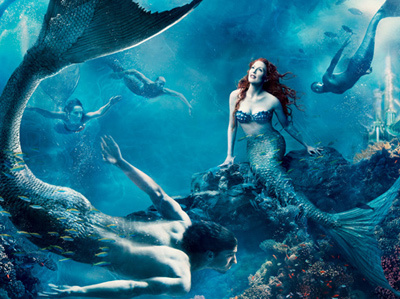 This time it’s Actress Julianne Moore and World Champion swimmer Michael Phelps in a Disney ‘Fantasea’ inspired by Ariel from “The Little Mermaid”. You can find a hi-resolution version of the photo here. The full press release and some behind the scenes photos and video are below the cut. Update: High-Resolution versions of all “Disney Dream Portrait Series” can be found in The Disney Blog Dream Photo Annex.